Sikander reads the diary ahead, nimrat reads I aimed her as we wanted sweet and what matters us most, I named our daughter on our sweetest memory,sikander finds the page where name written burnt, nimrat shouts it’s Kulfi, Sikander thinks of Nimrat and runs to his room, and removes his handkerchief gifted by nimart and realises kulfi is his daughters name, nimrat happy and says yes our daughter kulfi. Sikander reads ahead, nimrat writes, our daughter sings just like you, she has beautiful voice, sikander remembers meeting Kulfi and how she described her father,Sikander very happy and remembers every moment with Kulfi. Sikander says god my daughter was with me all the time,nimrat says and you couldn’t recognise her and smiles, sikander says this is why we are so connected to eachother and I feel that pain when she is away from me,and somehow we get back together because she is mine, my daughter, nimrat says cmon get up go get your daughter, Sikander says I won’t let my daughter go away from me and rushes to get her.nimrat says go sikander get our daughter, get her back to her father, thank you god for reuniting kulfi and Sikander, keep my family happy and together and Nimrat leaves. Sikander on his way thinking about kulfi all the time, and says kulfi you are not alone, you have family, your baba is here, my love will cure all your sadness, sikander finds the car but finds kulfi missing and other passenger in it. Sikander heart broken says kulfi dear your father is waiting to see you, sikander picks kulfis form and goes towards boarding school, excited to tell Kulfi that he is her father. Sikander reaches school, and asks for kulfi and introduces himself as kulfis father, Sikander carrying flowers and gifts for kulfi and eagerly waiting for her, he imagines himself being with Nimrat when Kulfi was born and by them when she grew up. Sikander nervous, and says god I’m so nervous, and says What if Kulfi asks me all those questions she had been asked all these years what will I answer her, anyways she has to ask it’s her right, but how will I tell her she is my daughter and starts practising, and says we always felt the connection right, it’s because I’m actually your daughter, peon says talk to ma’am.sikander tells ma’am about kulfi, she says we have no girl named Kulfi, sikander says she must have reached just now, she says no ways, there no girl here, sikander shows photo, she says no she isn’t here, sikander shows form, ma’am says it’s not our boarding school and shows the original form.sikander confused. Sikander remembers how desperately lovely wanted to send Kulfi away, Sikander goes home and sees lovely. Amyra ready to play with Sikander, lovely says cmon play, sikander acts for Amyra, amyra gets scared, and says thank you dad, after so long I feel homely,we will be like this right, sikander says yes go to your room I have to talk to your mom, amyra says you will fight again, sikander says no you go to your room, I will be there, amyra leaves. Sikander says lovely without creating any drama tell me where is my daughter kulfi,. Pre cap : Sikander says lovely she is my daughter I don’t need you to find my daughter, Lovely says you will never find her, everyone gathers, lovely says instead of getting upset over me why don’t you ask them why did they hide truth from you. 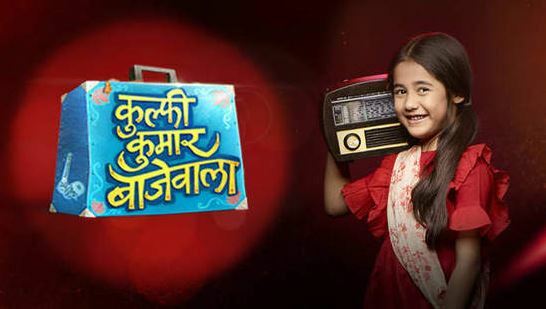 The post Kulfi Kumar Bajewala 25th February 2019 Written Episode Update Sikander finds the truth. appeared first on Telly Updates.